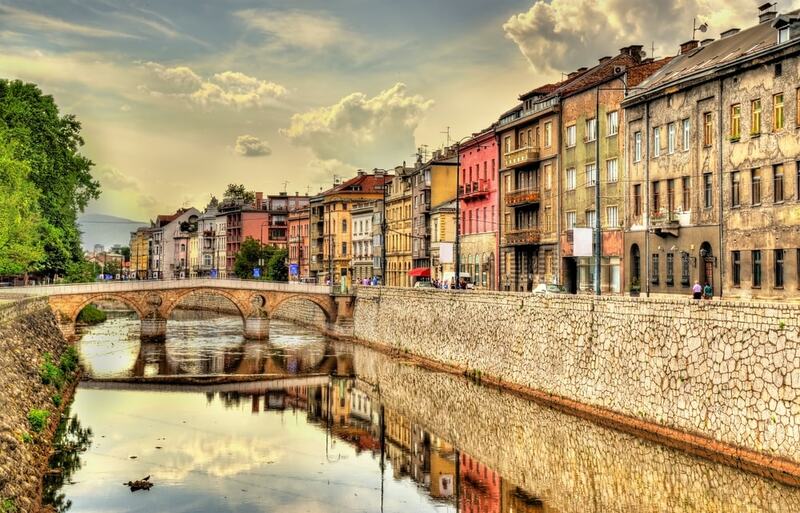 Bosnia is known for its surreal Ottoman old towns with winding cobblestone alleys, as well as traditional buildings and quaint coffee shops. 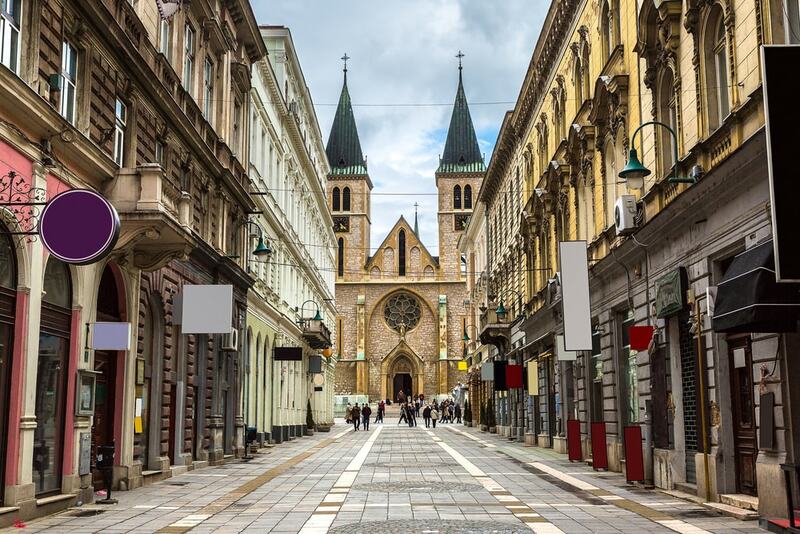 It also boasts of elegant Austro-Hungarian facades that juxtapose against modern city blocks and 400-year-old mosques, too. Get to know more of Bosnia through 17 of its most charming spots. Sarajevo’s Austro-Hungarian facades alongside the Miljacka River. The colourful buildings are a few minutes on foot from the Ottoman Bascarsija. Sarajevo’s Sacred Heart Cathedral in the heart of Austro-Hungarian Sarajevo is the largest Catholic Cathedral in Bosnia and Herzegovina. After opening in 1889, the 43 metre (141 feet)-spire caused a stir in Sarajevo’s mostly Muslim population as it was almost as tall as the city mosque. 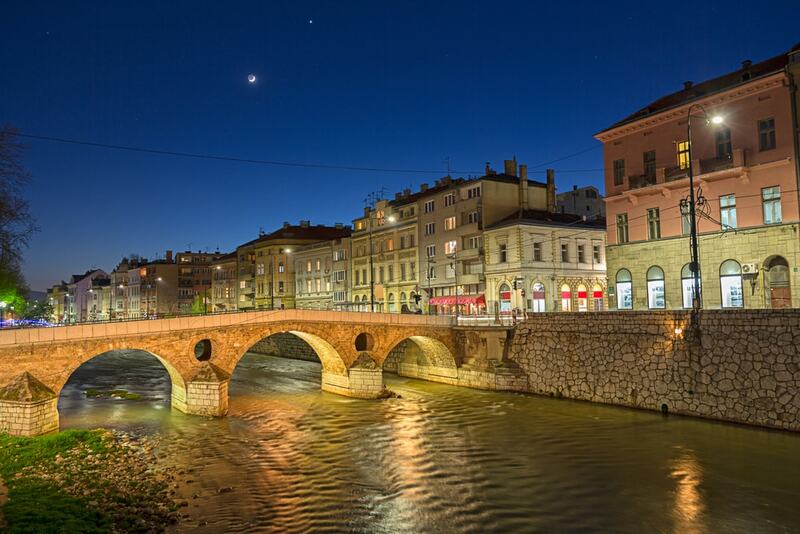 Latin Bridge in Sarajevo is famous for a variety of reasons. Franz Ferdinand’s assassination took place here after Gavrilo Princip fired a lucky shot as the archduke drove past. The bridge is also one of the most romantic places in the city outside of Bascarsija. 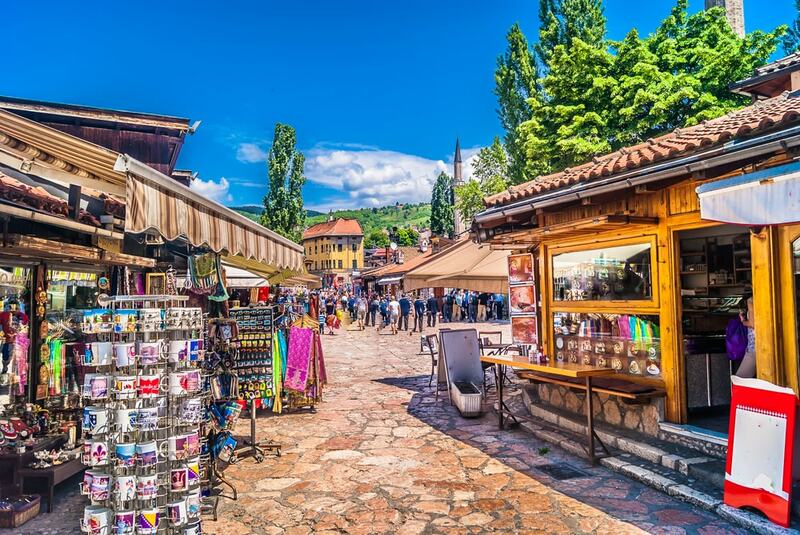 Sarajevo’s Bascarsija is a 15th-century Ottoman Old Bazaar that looks almost the same today as it did centuries ago. 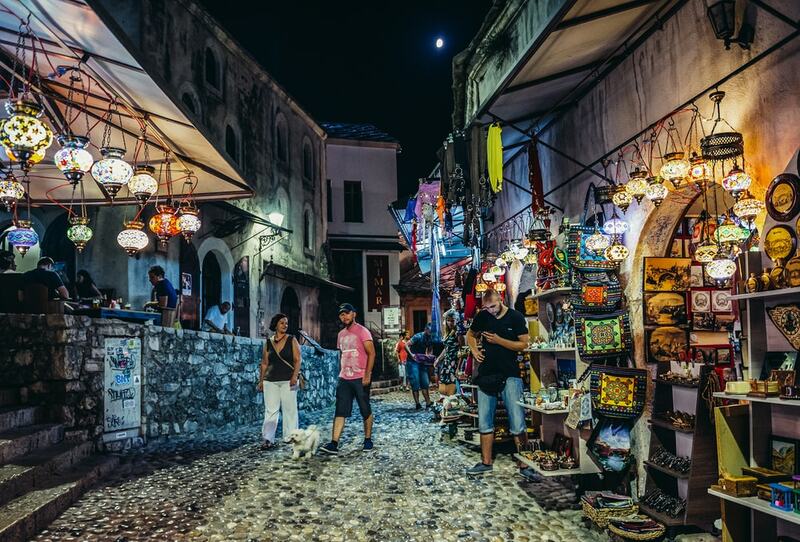 You’ll find charming alleys filled with cafés as well as restaurants selling traditional Bosnian food and souvenirs. 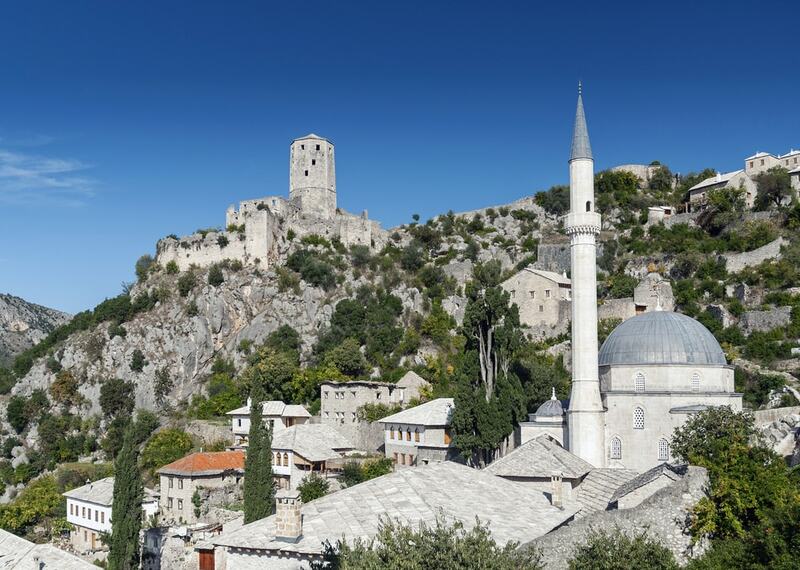 Mostar’s old town (Kujundziluk) has a similar origin and charm as Sarajevo’s Bascarsija. You can spend hours walking through the alleys and admiring the architecture while soaking up the ambience. Souvenir shops selling traditional crafts also line the streets. Mostar’s Stari Most, a UNESCO World Heritage Site and 16th-century Ottoman Bridge, is Bosnia’s most famous attraction. During the day, it is crowded with tourists and after dark the bridge lights up for a magical view. 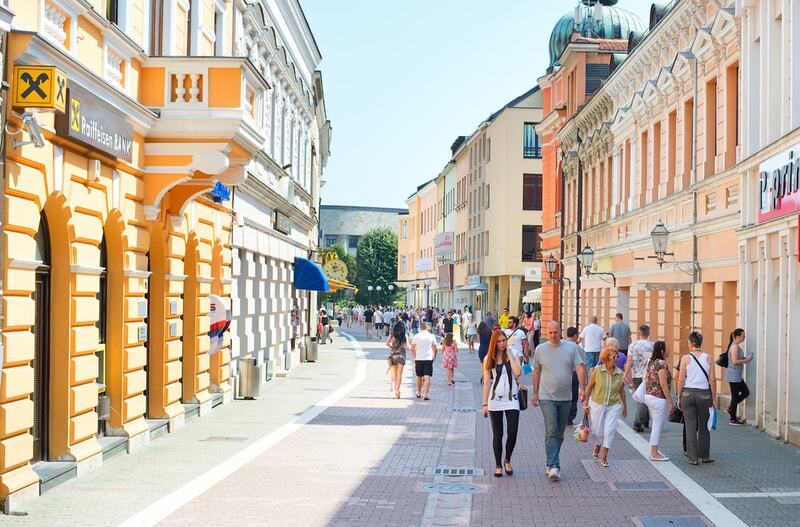 Banja Luka’s pedestrian street has colourful Austro-Hungarian facades filled with designer shops and window shoppers. 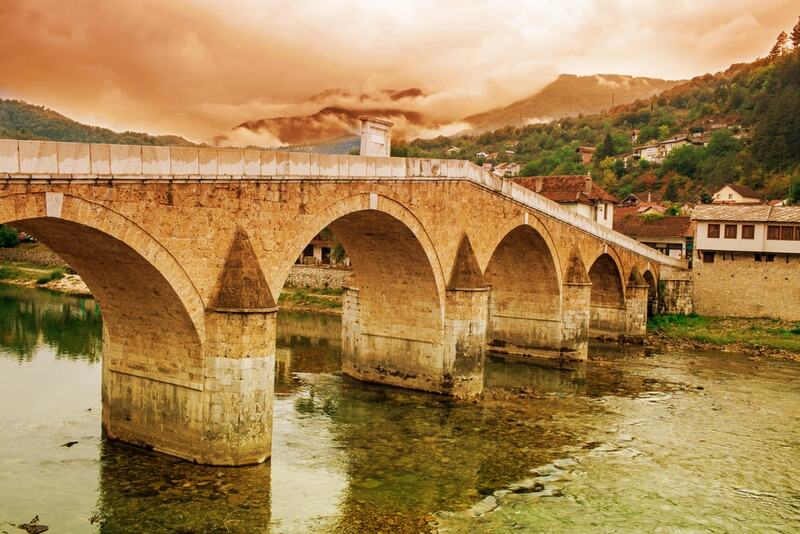 Konjic’s Stara Cuprija Bridge, built in 1683, is one of Bosnia’s seven Ottoman bridges. After suffering damage in World War II, the bridge was finally rebuilt between 2003 and 2009, making it one of the best-preserved bridges in all of the Balkans. Konjic also has an attractive old town spanning both sides of the River Neretva and is a charming place to stroll around. Tito’s Bunker, which was recently transformed into a contemporary art museum, is nearby too. Mehmed Pasa Sokolovic Bridge in Visegrad passes over the Drina River in Eastern Bosnia. This beautiful Ottoman bridges dates back to 1577 and stretches almost 200 metres (656 feet). 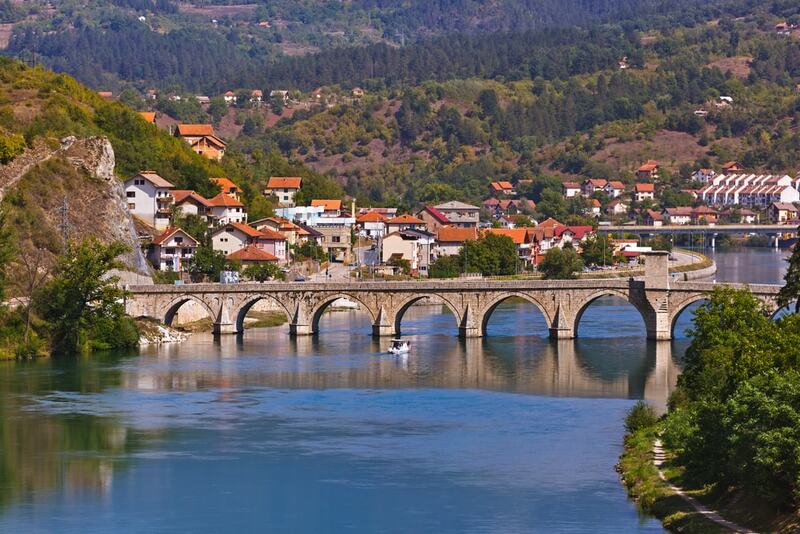 It was also the setting for Ivo Andric’s The Bridge of the Drina, one of Bosnia’s most famous novels. 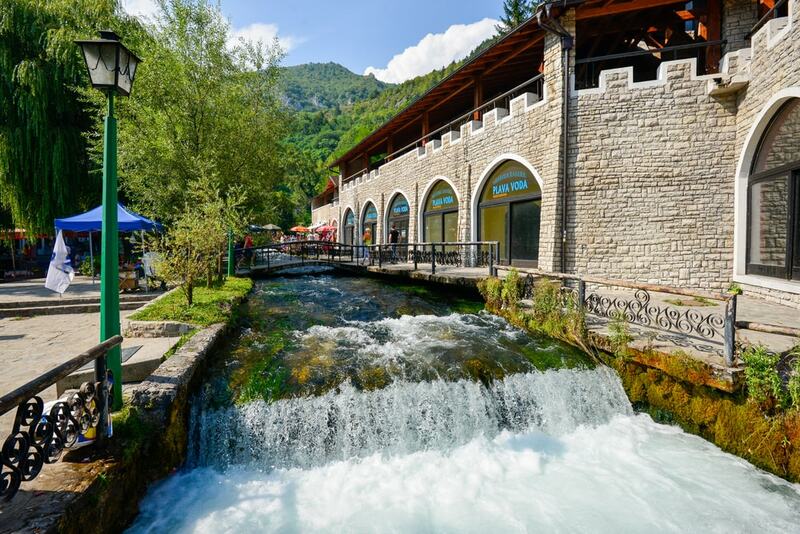 Travnik’s Plava Voda, or ‘Blue Water’ in English, consists of a stream lined with restaurants and bridges. You can walk along the pedestrian path for the most romantic experience in Travnik. 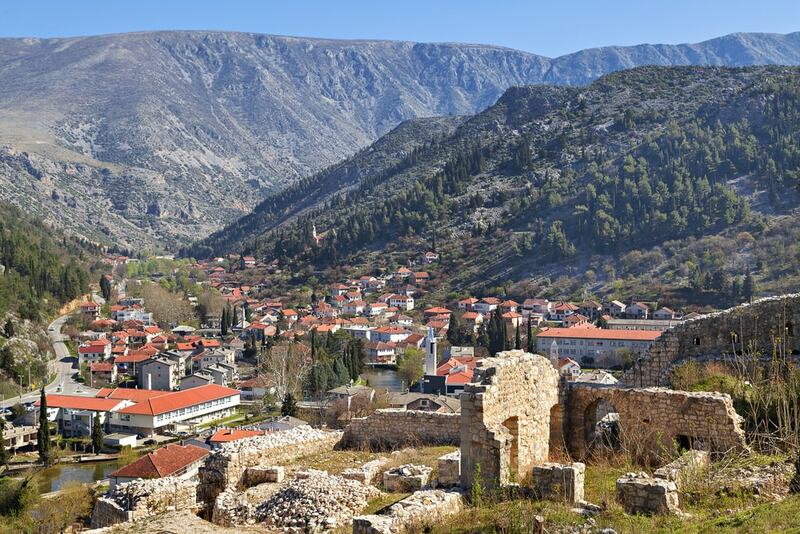 One of Herzegovina’s oldest towns, Stolac, has an Ottoman centre (Carsija), a Roman castle, and craggy mountains surrounding the historical town. 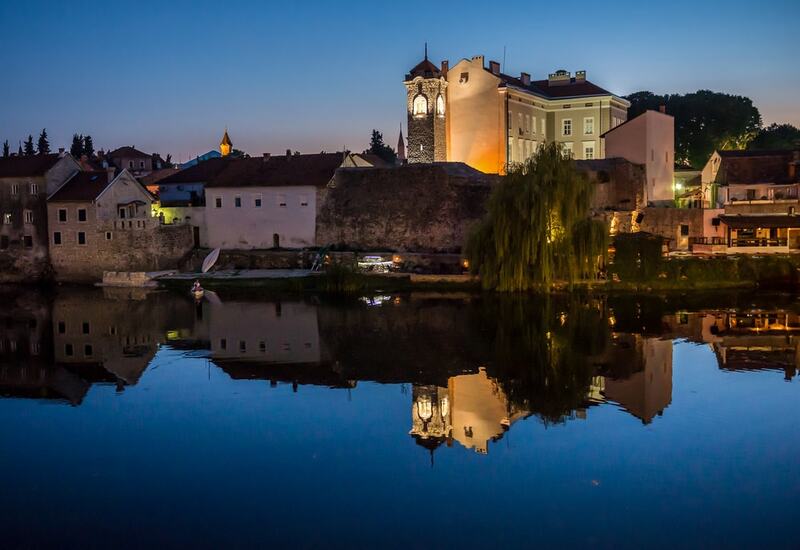 The Bregava River meanders through the town centre with traditional buildings on the banks. 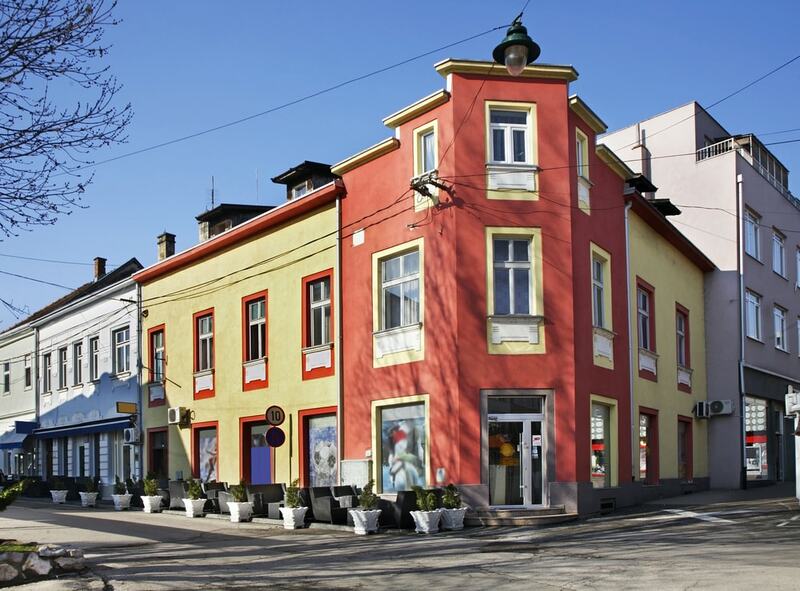 Here is a colourful street in Bihac, a small town northwest Bosnia along the River Una. Bihac is an ancient town getting only a few tourists. But it has a vibrant café culture set in a serene location and is definitely worth visiting. Dervish House or Blagaj Tekke, located in Blagaj village inside the Mostar Basin, is a 16th-century monastery on the Buna River spring. Jayce is a cultural centre in Bosnia that was once the seat of the pre-Islamic (pre-Ottoman) Christian Bosnian Kingdom. 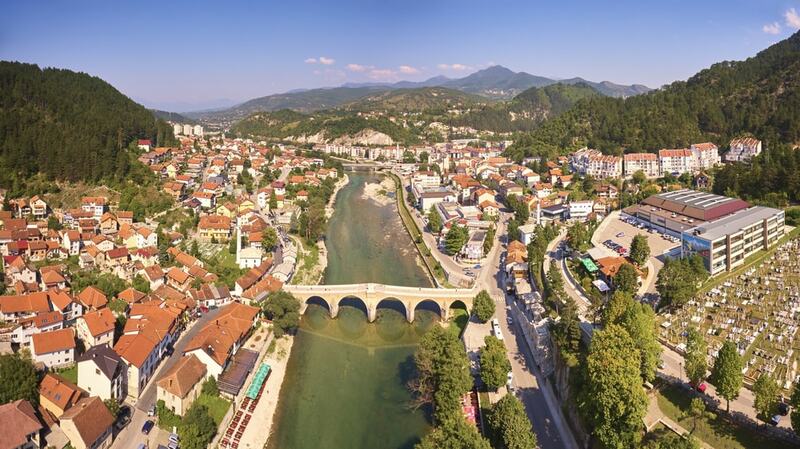 You’ll find a fortress, catacombs, and Ottoman mosques in this small town near Pliva Lakes. Trebinje has an 18th-century old town along the Trebisnjica River and is Herzegovina’s southernmost city. The area gets romantic in the early evening as the city begins to light up. Pocitelj, some 30 kilometres from Mostar, has an attractive medieval and Ottoman centre inside this fortified village with less than 1000 residents. The old town stretches lazily along the banks of the River Neretva.